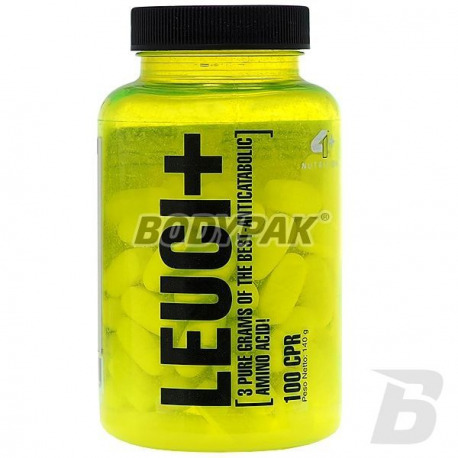 Amino AcidsFOURPLUS 4+ Leuci+ - 100 kaps. FOURPLUS 4+ Leuci+ - 100 kaps. The highest quality BCAA branched amino acid - leucine. Its main function is to reduce decay and intensification of reconstruction of proteins, improving nitrogen balance and the regulation of lipid and carbohydrate metabolism. 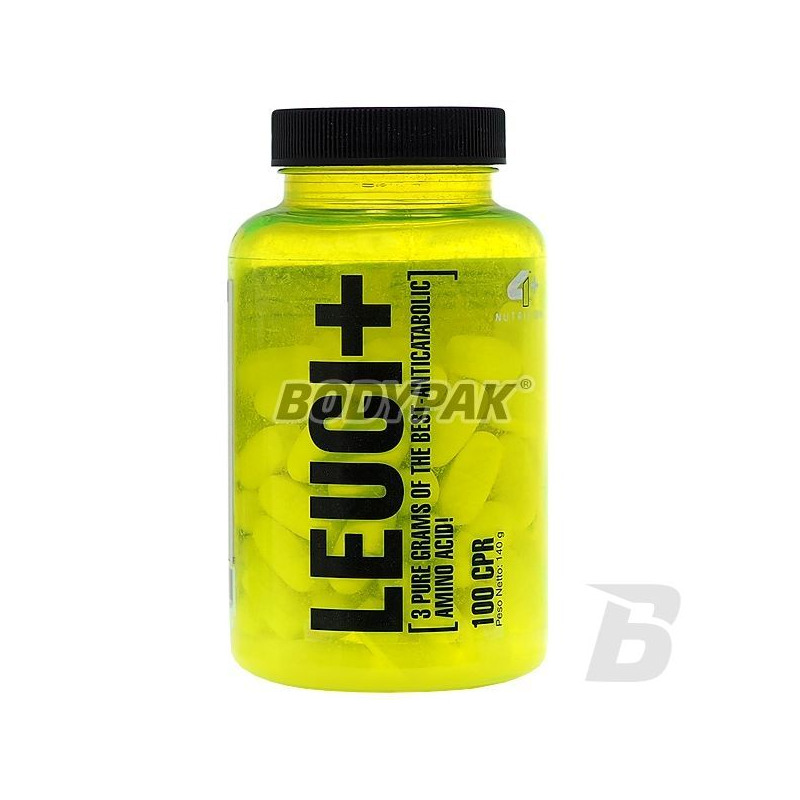 Leucine is one of three essential exogenous branched chain amino acids (BCAA) - can not be produced by the body and must be supplied with food. Leucine contained in Leuciana 4+ + has the unique ability to stimulate skeletal muscle protein synthesis through mTOR pathway activation anabolic - have about 10-fold greater effect on the stimulation of protein synthesis than any other amino acid. This amino acid also plays a key role in sports supplementation: helps build lean muscle mass, is responsible for the storage of glycogen in the muscles and maintains a positive nitrogen balance. 4+ Leuciana + - high quality, extremely convenient form! Składniki: substancja wypełniająca: celuloza mikrokrystaliczna, substancja stabilizująca: fosforan diwapnia, substancje przeciwzbrylające: stearyniam magnezu (zażywny), dwutlenek krzemu.